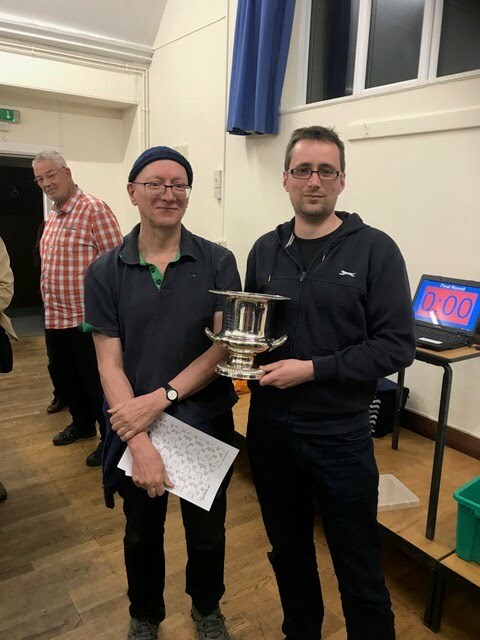 Congratulations to Jonathan Mestel and Alan Shillitoe who won the County Pairs Final held at Trumpington Village Hall yesterday, March 31st. In second place were Malcolm Anderson and Stephen Goodwin and third place were Jon Cooke and Paul Barden. 17 pairs entered following heats held by clubs throughout the County. The top three pairs will be eligible to play into the Corwen which will be held in Daventry at the start of June. Full results can be seen by following the link to Bridgewebs via cambridgebridgeclub.org.